There's a new boy in Frannie's sixth grade class, and he is not like the other students in his class. Frannie and her classmates are African American, and he's white--pale white. He's very tall, very thin, and has a calm look on his face and an unwillingness to fight other students, even when picked on. Soon the students have given him a nickname: "Jesus Boy". Frannie doesn't know what to think. Frannie heard a poem at school that said, "Hope is the thing with feathers." She wants hope desperately. Maybe it will help her deal with her mother's new pregnancy, her brother's deafness, the school bully's anger, and all her own questions about their future. Maybe Jesus Boy can help. In a starred review, PW said that this book touches on serious topics like meaning, religion, segregation, and disabilities "with a light and thoughtful touch." Set in the 1970s, the book also touches on cultural and national events of the time, like the Vietnam War. Important Note: Religion is a very dominant theme in Feathers. We recommend teachers read this book before introducing it to their students and gauge for themselves if it's appropriate. It's quite short, and should only take a few hours to read. 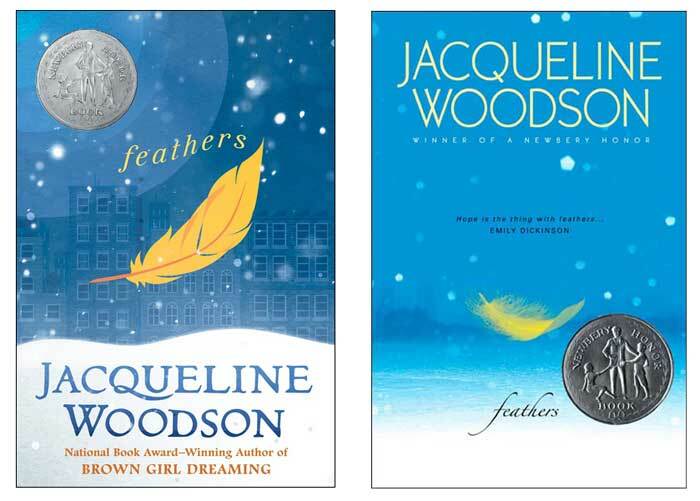 This book was a 2008 Newbery Honor Book! The title of the book is based on a poem that the main character learns about in school and ponders throughout the novel. This poem by Emily Dickenson is printed at right and is also printed in the front of the book. 1) Why do you think Dickenson means when she says 'Hope is the thing with feathers?" 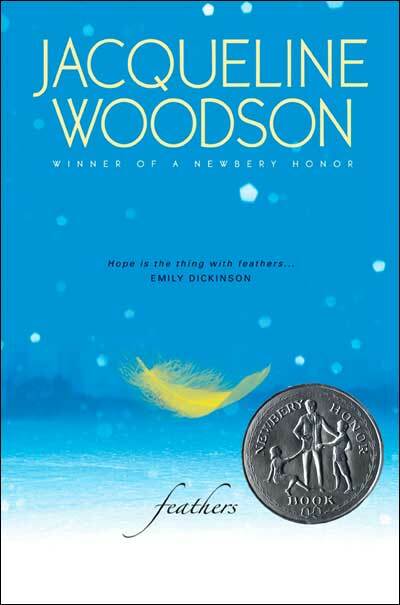 2) Do you think the main character, Frannie, finds hope by the end of the book? Why? How? 3) What does hope mean to you in your life? Book Covers: There are two covers available for this book. We like them both.